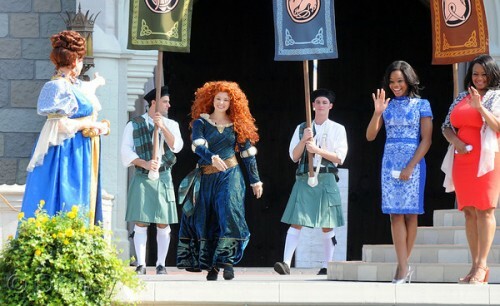 In celebration of mothers and daughters everywhere, Disney proudly welcomed Merida from Disney Pixar’s Brave, into the Disney Princess royal court today. 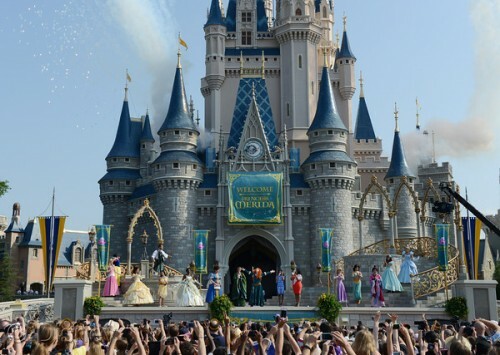 The special ceremony to honor the brave and passionate princess was hosted at the Magic Kingdom at Walt Disney World Resort in front of Cinderella’s Castle. 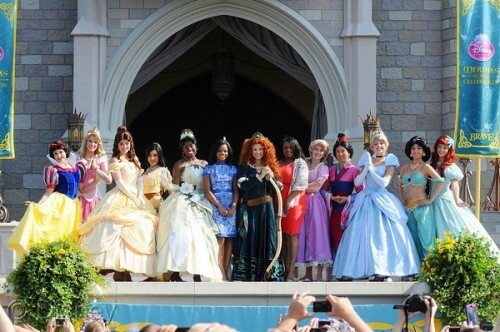 Merida was welcomed on stage by the entire Disney Princess court, and was crowned by her mother Queen Elinor in a touching moment of love and respect that highlighted the bond between mother and daughter. Gymnastics Gold Medalist and All-Around champion, Gabby Douglas(blue beside Merida), hosted the celebration accompanied by her mother(in red), and shared her personal story of strength, perseverance and courage to win gold. 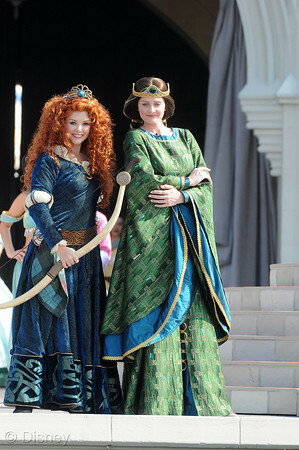 As part of Merida’s celebration, a group of 200 mom bloggers and their families attending the Walt Disney World Social Media Moms conference were treated to a first look at the latest video from the “I Am A Princess” campaign, which features Merida and a real-life young archer. The campaign’s message encourages girls to believe in themselves and their inner strength. Disney Junior Celebrates May With New Episodes & A Special Presentation!